Please call ahead for an appointment or to book a visit to your site. "Our dock is fantastic! We love it - our kids love it, our guests love it." What kind of dock do you need? What other dock components do you want? What are the best Docking Solutions? I am an authorized On the Water Design and Dewdocks Dealer. Thanks for taking the time to read about us. My name is Jim Smith and I live in Meaford, Ontario. Many years ago my wife (Jane) and 3 kids bought a cottage in Honey Harbour. The first thing we needed was a new dock. So I understand what people go through when hunting for the best dock system for the best price. I went to all the boat shows, cottage shows, and private builders I could, and finally chose the Dewdock System. It is long-lasting, simple to put together, and looks good. I was so pleased with how much money I saved, and how good it looked, I called the manufacturer to compliment him. I also suggested that he needed to tell more people about his system. That conversation ended up with me being a Dewdocks Dealer and installer. 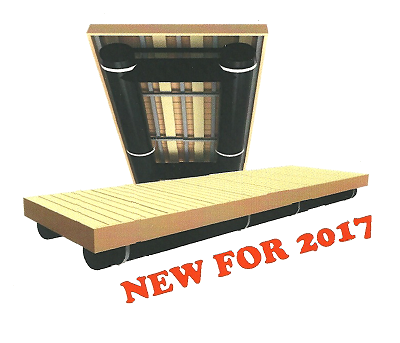 I discovered the On the Water Design Docking Systems a short while later and added their dock and accessories to my dock systems product line. This allows me to provide solutions for virtually any dock requirements I am faced with. My installation crew are experienced, reliable and dedicated to always producing superior results. Save yourself time, energy, stress and money. I am ready to answer all your questions and provide you with your dock system kit, or if you prefer, I will build and deliver it to you. "I take pride in representing Dewdocks and On The Water Design products because of their superior construction, durability and eco-friendly designs. I am confident that we have the best dock solutions available."